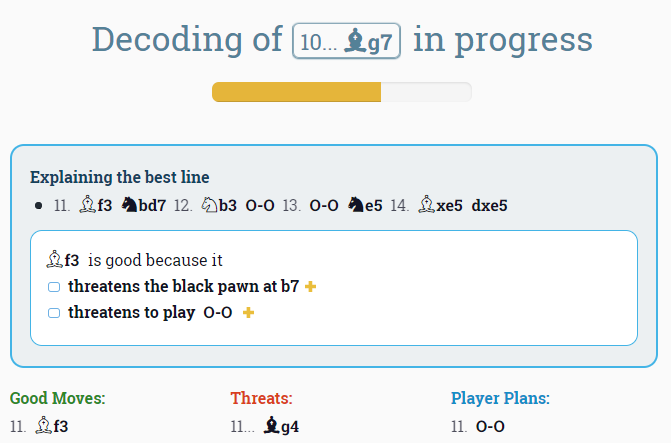 We’re proud to announce the release of a new DecodeChess version! Our teams work day and night to improve the chess analysis capabilities of our algorithm and to serve a user experience that is second to none. From now on, upon clicking on Decode, the system will start dripping in data about the best line even before the entire decode process is complete. 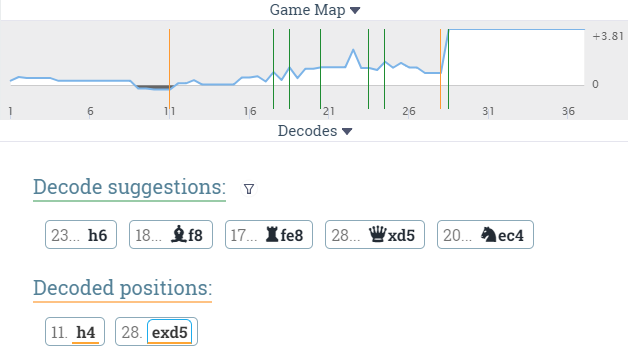 A new Decodes area provides easy access to recommended and decoded positions and can be expanded or collapsed according to your preferences. Game Map is now a collapse/expand area. Vertical lines indicate different Decode statuses (green=recommended, orange=decoded, yellow=decode in progress). 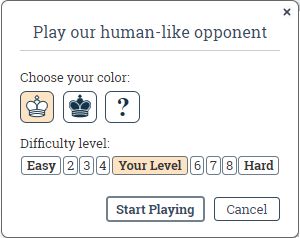 We improved the UX when choosing to play against the DecodeChess human-like opponent. Choose Play from the New Game menu to see how it works. We believe this is the best Play against computer experience online!